Old Kris Kringle – Woodford Reserve Bourbon spiced with cinnamon and ginger, served over ice. Black Forest Martini – Absolut Vodka, Creme de Fraise, Creme de Cassis and Chambord crowned with chocolate coated cream. I started with a very Christmassy Gingerbread Martini – which looked and tasted spectacular. I loved the pretty sugar dusting around the martini glass – well presented and so festive. My second cocktail was the beautiful Black Forest Martini. The drink was quite simply, a liquid black forest cake and what’s not to love about that? One of the best cocktails I have had in a while! Mr. A’s drinks were potent. He went for the Old Kris Kringle and Santa’s Punch – I did have a taste of both and although they were great, I have to say I much preferred my gorgeous martinis. We ordered some bar nibbles as well – the spiced potato wedges (which were excellent) and the chilli calamari (which could have done with a bit more chilli). The cocktail list at Dirty Martini is impressive, especially their range of ‘skinny’ low-calorie cocktails meant for the health conscious. The skinny drinks are sweetened with honey or agave syrup and perfect for those who want guilt-free fun – with most skinny cocktails being less than 140kcal! Skinny Gin Blush (137kcal!) 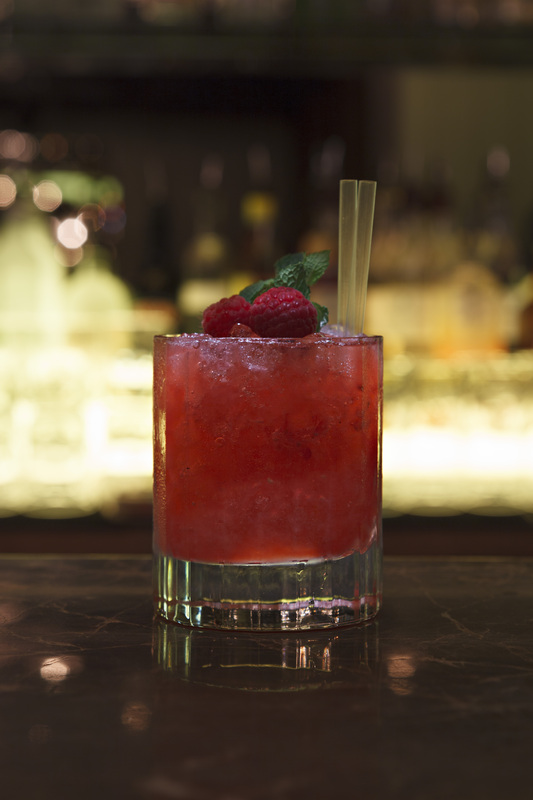 – Fresh Raspberries shaken with Langley’s Gin, St Germain Elderflower Liqueur, honey, apple juice and lemon juice. Dirty Martini also offers cocktail making classes at their bars where you learn how to make the perfect martinis, margaritas or whatever else you fancy with your own private bartender. Great idea for a hen party at £25/head! 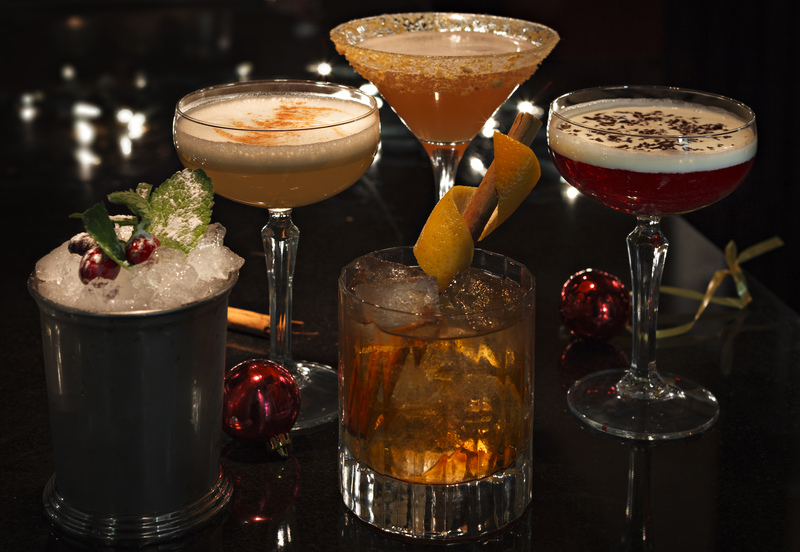 If you work in the Liverpool St area and are looking for a bar that offers a great ambience and delicious cocktails, then I highly recommend Dirty Martini for a night out. Perfect Christmas time preprations! Next blog has to be on some food receipe. Thank you, Bei! The cocktails were excellent and it is a great place for drinks. I am definitely heading back soon for their skinny cocktails. Enjoy the launch party – sounds like fun!